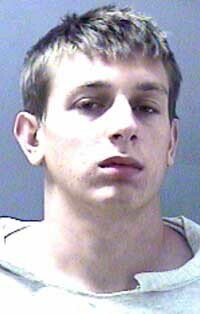 A 21-year-old Ketchum man was ordered Monday to spend 42 days in the Blaine County jail for felony possession of marijuana. However, Judge Robert J. Elgee ruled that Cody Cooper Caccia can serve the time in two-week increments during the next year after evidence was presented in court that Caccia has taken steps to improve his life. "I realize this is a very serious situation I've gotten myself into," Caccia told Elgee at Monday's sentencing hearing. Caccia further noted that he is now "clean sober" and said, "I'm doing everything I can to change my lifestyle." Caccia pleaded guilty to the crime in January. In exchange for his guilty plea, the Blaine County Prosecuting Attorney's Office agreed to reduce the charge from delivery of marijuana to felony possession of marijuana. A second charge of delivery of marijuana, filed in a separate case for an alleged marijuana sale to an undercover officer in 2010, was also dismissed. Caccia was arrested by the Blaine County Narcotics Enforcement Team on Sept. 28 for possessing about a pound of marijuana. In court Monday, Deputy Prosecuting Attorney Matt Fredback said the marijuana was delivered to Caccia's home in Ketchum by Federal Express. Police were waiting for the package to arrive because of a tip from authorities in California, Fredback said. Fredback said he was recommending a jail sentence for Caccia because the defendant "has a long history of drug and alcohol cases and run-ins with the law." Defense attorney Douglas Nelson told the court that his client in the past had an attitude of disrespect for authority, but noted that "it looks like Cody's done a big 180." "He used to do whatever he wanted to do and no one could tell him otherwise, but that doesn't seem to be the case now," Nelson said. Elgee commended Caccia for trying to change his lifestyle but said he couldn't ignore his past record. "There's a lot of what I would call punkish behavior," the judge said. Caccia was also given a five-year suspended prison sentence, placed on probation for three years, fined $1,000, ordered to perform 100 hours of community service and ordered to enroll in alcohol and drug "relapse prevention" programs.